Many of our guest love to explore neighboring Tinos, and one attraction during the month of August is one of the most famous churches in Greece: Panagia Evangelistria. 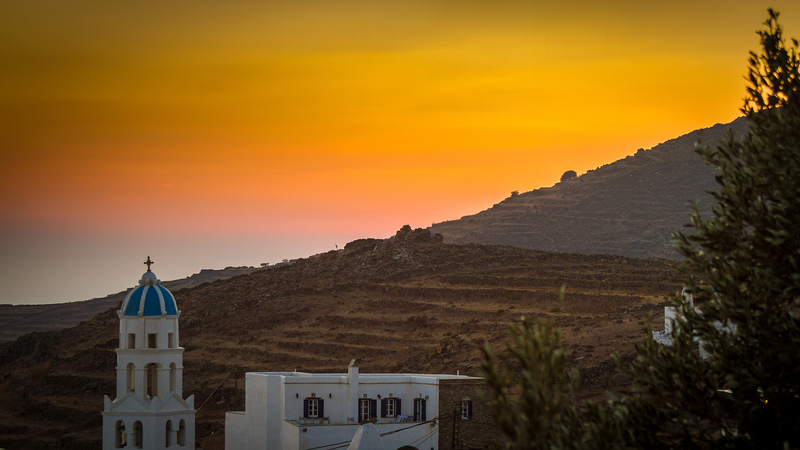 Panagia Evangelistria is also known as the Lady of Tinos and it is one of the most significant sites on this quiet island, a much quieter island than Mykonos! Tinos is a beautiful day trip or short trip from our island. In Greece, August 15 is a special religious holiday as many Greeks make a pilgrimage to certain churches around the country. Panagia Evangelistria is one of the most visited because it is famous for granting miracles. Here are a few things to know about Panagia Evangelistria or the Lady of Tinos and the major pilgrimage worshippers take to this Cycladic island church. -When you take a ferry to Tinos you’ll end up at the main harbor. The church sits at the top of a hill about 800 metres away. On August 15, and around this time, the island will be flooded with pilgrims. Many crawl on their knees from the ferry to the church! It is a fascinating piece of Greek culture to witness. -Panagia Evangelistria is probably one of the most important Orthodox churches in Greece. Pilgrims go to pray to the icon Panagia Evangelistria which is said to perform miracles and cure people of sickness. – The church was founded in 1822 by a nun called Pelagia. She had a vision of the Holy Virgin and as a result told the town that a sacred icon could be found in a field above the town. Excavations proved she was right and a church was built on the same spot. Archaeologists later found that a Byzantine church, destroyed by Muslim pirates, once stood there and before that there was an ancient Greek temple dedicated to Dionysos in that very spot. – You can visit the church at any time of the year during visiting hours. Inside you will find a world of jewels, silver and marble. There are tamata hanging everywhere, valuable gifts molded from silver and jewels which were given by pilgrims who have had their prayers answered. There are many stories behind those tamata. – Here’s another travel tip when visiting this church: dress with respect. Long pants for men and for women, pants, a skirt and covered shoulders. 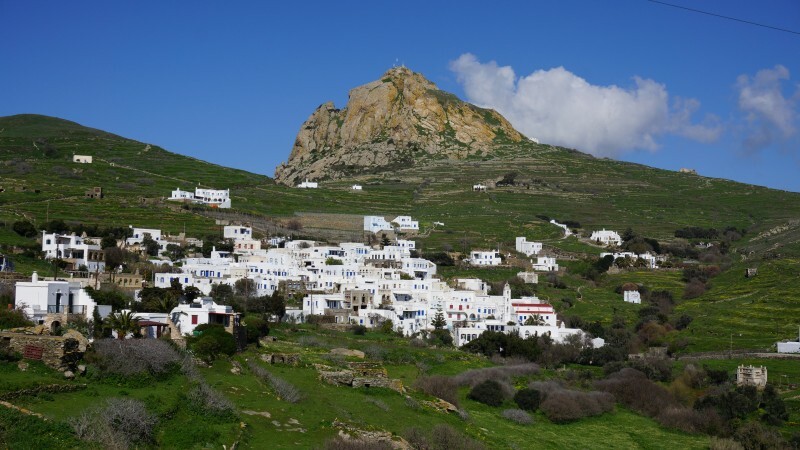 -Tinos is a short boat ride away, about a half hour ride. You may take a ferry or hire a private boat in Mykonos to reach the island. If you plan to stay overnight in Tinos, be warned that in August many of the rooms and villas may be already booked. However, you can easily visit Tinos as a day trip excursion from Mykonos. Tinos also has nice restaurants, pretty villages and lovely beaches to explore as well. 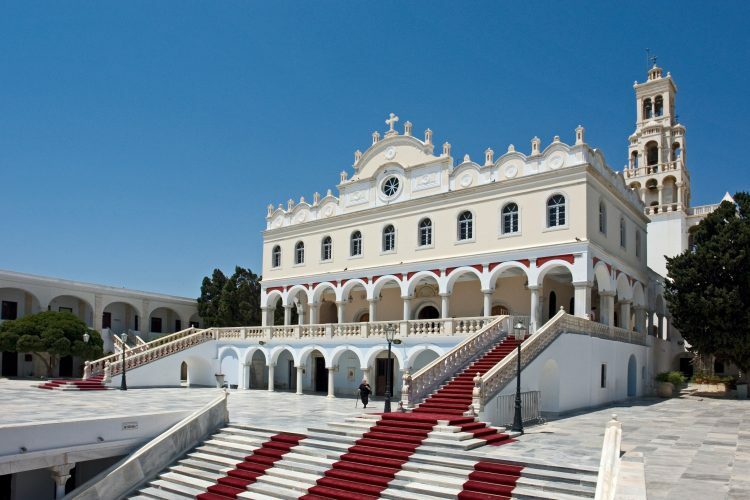 Have you ever heard of Panagia Evangelistria or the Lady of Tinos? Would you like to see a cultural and religious pilgrimage in Greece?